One week ago today was the Virgin London Marathon which I missed because I was in Madrid. I am very thankful that my very good friend and her twin brothers successfully crossed the finish line but sadly, one of the runners collapsed at 22.5 miles (3.7 miles before the finish line) and died later in the hospital. He happened to be my favourite chef, Matt Campbell. I don't know Matt personally. I only know him because he was my favourite to win at last year's Masterchef Professionals. To be honest, that series was the first Masterchef I watched from beginning to end. It was all because of Matt. I fell in love at first sight with Matt's very creative dishes. There was a category in Masterchef wherein they had to create something personal to them or something to that effect. Matt created this sea bream dish inspired by his father and the Lake District. It was one of the most amazing dishes I've ever seen on television. Then there was his signature dish, the cod cheeks with spirulina, kale and kombucha. I must admit that I've never heard of spirulina and kombucha until Matt mentioned them on Masterchef. I loved him even more then because of his healthy approach to food. He also made this 100% raw cacao vegan dessert which I hoped to taste one day as I've never heard of this dessert before. He also used sheep sh*t to cook one of his dishes, I just can't remember which one. He was very innovative, interesting and a very talented chef indeed. But most importantly, Matt appeared to be a wonderful man. He remained humble throughout the series, whether he impressed the judges or not. I followed him after Masterchef through his instagram page. He was full of life and doing all amazing things like doing residencies in different restaurants in England, turning junk food into astounding dishes, turning carrots to hotdogs and joining marathons. I was really looking forward to meeting him one day.I wish I took booking a table at Roux Parliament Square seriously when he had his residency there. When I found out that Matt passed away, I was having a bad day at work. I accidentally opened MSN and there was the sad news. I couldn't believe it at first and hoped that it was a hoax. Unfortunately, it wasn't. I cried for two days- the first time I cried over the passing of someone I haven't met. He had that effect on me and I couldn't understand why. My friend who ran the marathon told me that perhaps, my spirit connected with his. And then I had a rethink. Perhaps it was my love for food, running and Lake District that connected me to him. But whatever it is, he touched my life in an inspiring and very special way. 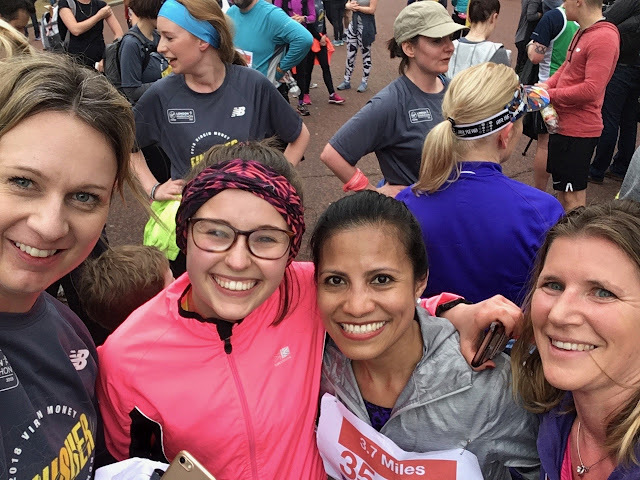 To honour Matt, I ran the 3.7 miles that he sadly was unable to finish twice this weekend, just like I did when I lost my son, Keith. They were both very talented individuals. Keith with his art and music, and Matt with his cooking. Perhaps this is also the reason why Matt's death hit me quite hard because another talented and amazing person was taken away too soon. So, yesterday was my first run this year. My first run in the rain. My first run in miles. My first run with a complete stranger. My first run listening to Keith's favourite songs since November. All to honour my favourite chef. 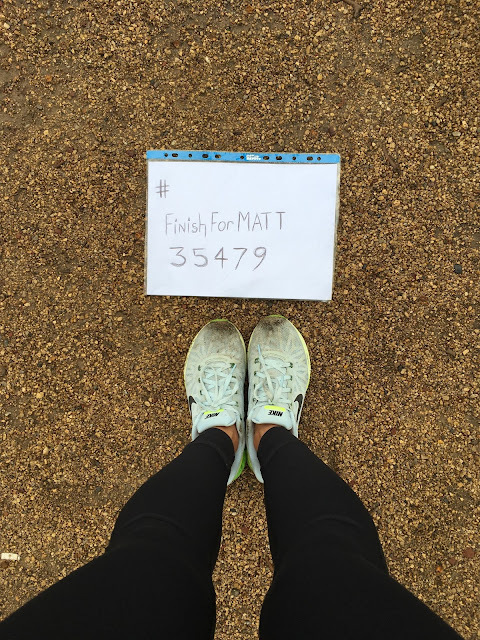 Then again this morning, I ran the 3.7 miles poignantly for the second time to #FINISHFORMATT with hundreds of runners in London and thousands around the world. The outpouring support from the running community is truly unbelievable. People are coming together and spreading love, kindness and only positive vibes all over the globe. I've never seen my Facebook feed flooded with such warmth and sincere thoughts. The stories shared on the Facebook page created for Matt are awe-inspiring. I am moved every time I read a story on how this unfortunate incident motivated people to run or walk their first 3.7 miles. This to me, is running community at its best and I am very proud and humbled to be a part of it. This has sparked a new hope in me that perhaps there is after all, goodness in humanity. As of this writing, Matt's Fundraising Page has reached £304,563- 12182% more than his original target. Simply amazing. 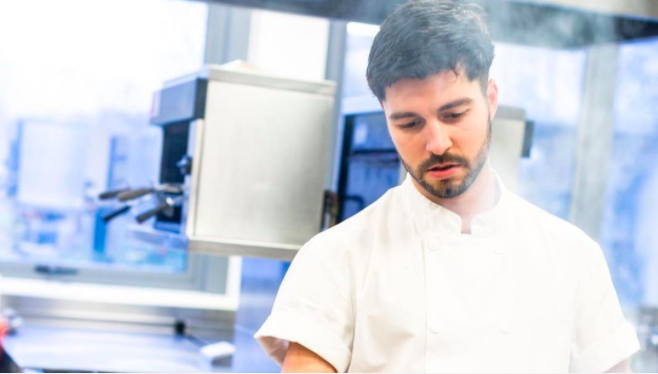 And to Matt, I may not have had the chance to meet you and at least eat one of your out of this world dishes, but you will always be my favourite chef. I promise I will learn how to cook one of your dishes in your memory. You will hold a special place in my foodie and running heart. Rest now, beautiful soul. Keep cooking amazing dishes in heaven and hopefully, you will get to meet my angel Keith one day in that beautiful place where you both now live. I finally reunited with my travel buddy yesterday after five days of wandering around the Spanish capital on my own. First of all, I never thought that I could easily find my way in Madrid considering my ridiculously poor sense of direction. Well actually, my previous trips to Madrid probably helped, although I can only remember the places that I went to but not how to get there. Luckily, citymapper works in Madrid so it saved me (although not totally) from getting lost. So, on Monday morning after J and I stuffed ourselves with pastries and delicious cured meats, I geared up for my solo adventure. My first stop was at The Almudena Cathedral, approximately 15-minute walk from Central Madrid and located just beside the Palacio Real de Madrid. It has become my tradition to visit at least a church when I travel. 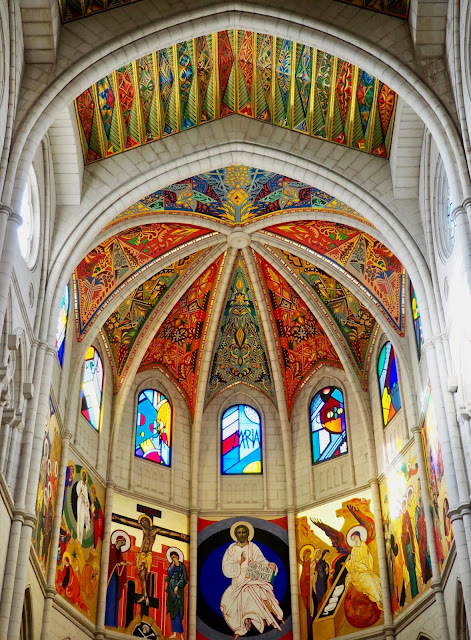 I chose Almudena because I saw photos of its ornate ceiling on instagram and I was intrigued. 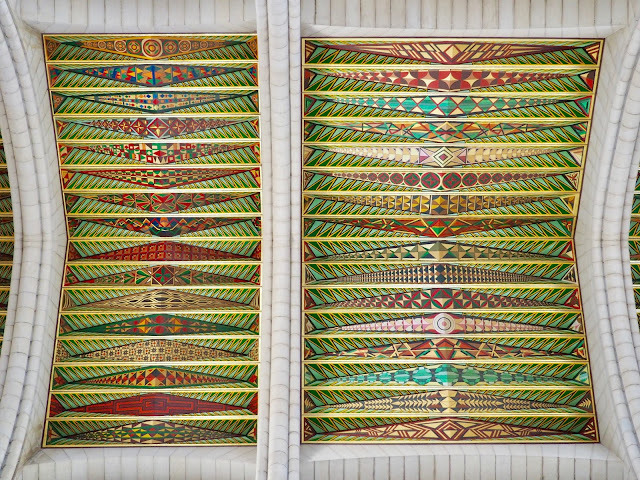 So, after giving my thanks to the Lord (yes I did), I looked up and was amazed by the geometrical artwork on the ceiling. The church is new and was only consecrated in 1993. 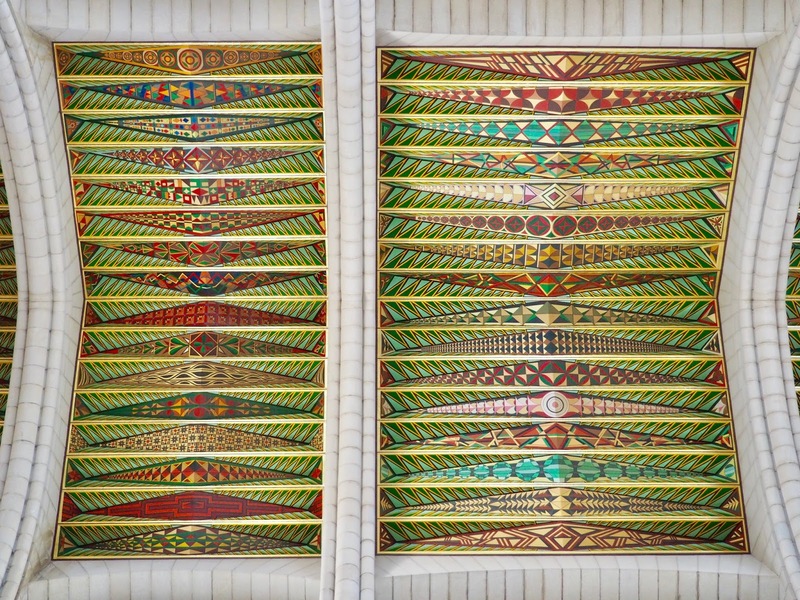 I spent almost an hour inside the church admiring the ceiling, the golden altar, the pipe organ which was also stunning and the gothic-style columns. I was getting lost in the beauty of the church when I realised it was time to move on. I made my way to Mercado San Miguel, a foodie haven where you can find just about anything you want to eat in Madrid- tapas, ham, cheese, pastries, baked goods, canned foods, etc. It was still closed when I got there so I went for a little walk around the area to keep warm as it was a bit chilly that day. The market opened at 10am and already, it was packed with locals and tourists alike. It was as I remembered it- busy and full of mouth-watering food and meticulously arranged fruits and vegetables. I decided not to eat there this time because I wanted to eat churros. Less than 5-minute walk from Mercado San Miguel is the most famous and oldest (it opened in 1894) chocolate shop in Madrid- Chocolateria San Gines. When I arrived, there was already a long queue (it's open 24 hours) but it didn't take long before I was seated. They have a ticketing system which is very efficient in my opinion, and they mainly serve churros and chocolate. 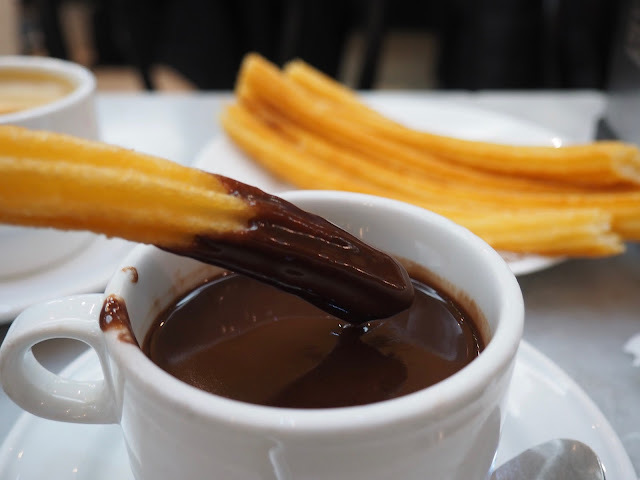 When my crispy-looking churros and perfectly thick chocolate came, I was in heaven. Definitely the most delicious churros I have ever tasted. The churros were crunchy and not oily, and the chocolate was deliciously sweet. Still in churros heaven, I walked back to our hotel for an afternoon nap. When I woke up, I hung out in the balcony and read my book until it was time to meet up with J. We went to dinner with his colleagues that evening. No cherry blossoms sadly. I didn't bother to explore the area anymore so I went back to Plaza Mayor to have lunch. 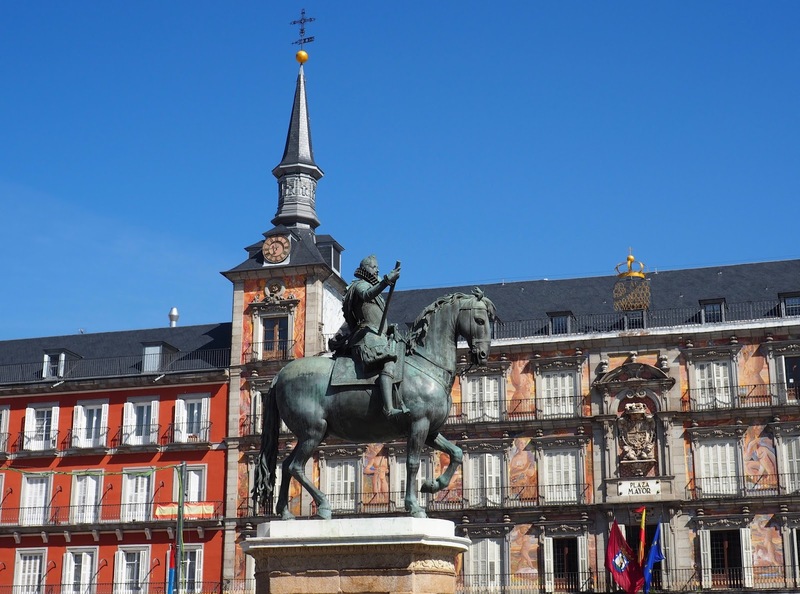 Now, in Plaza Mayor, it's always hard to identify which restaurant is a tourist trap or not. 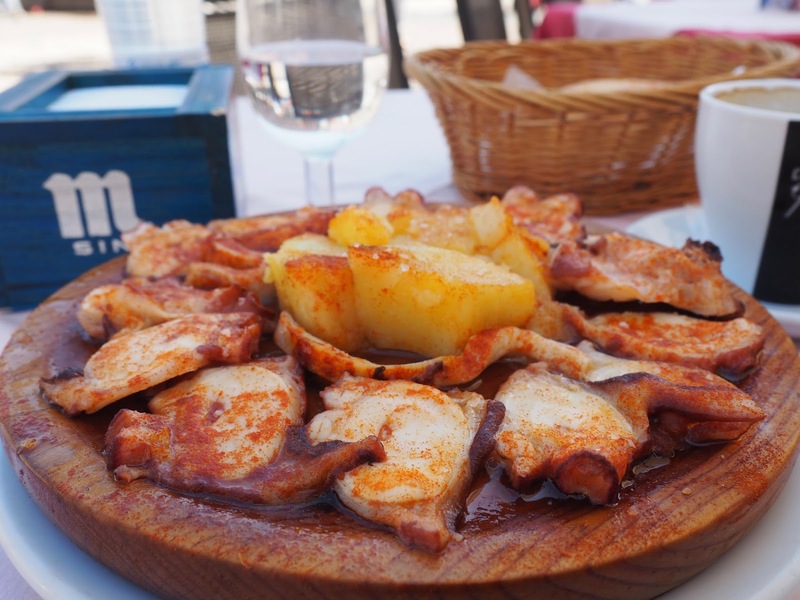 So, I consulted theculturetrip.com and they recommended Cerveceria Eboli for their Galician-style octopus. I devoured my octopus al fresco while listening to a couple of performers playing "I did it my way" and people-watching at the same time. My day couldn't have been any better than that. 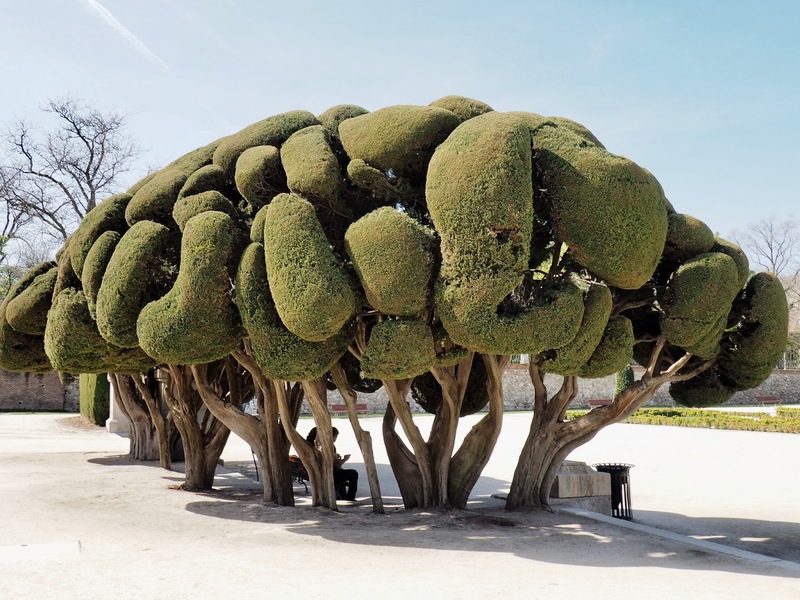 On the third day, I decided to visit Retiro Park. I walked through Gran Via, apparently the street that never sleeps. 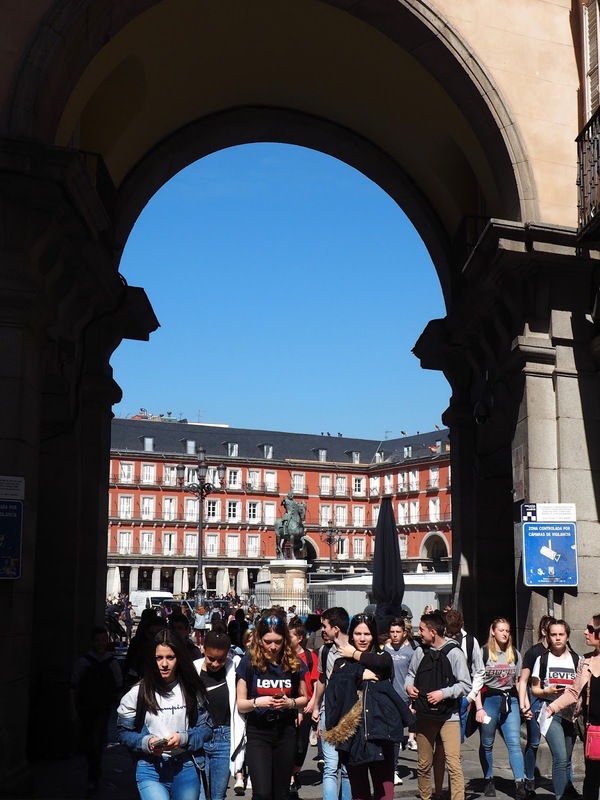 It's one of the busiest streets in Madrid, filled with cinemas, cafes, bars, nightclubs, retail shops and theatres. After about 1.7km walk, I finally hit Puerta de Alcala. 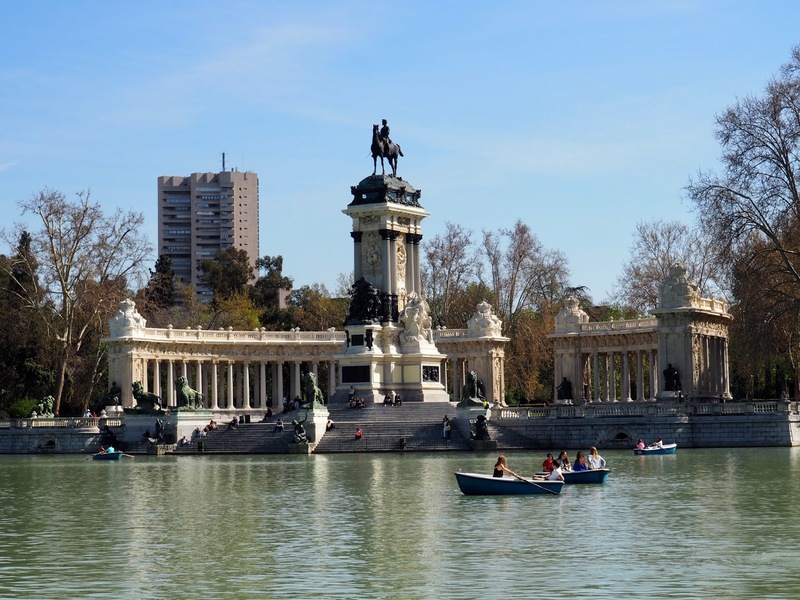 Retiro Park's entrance is adjacent to Puerta de Alcala. 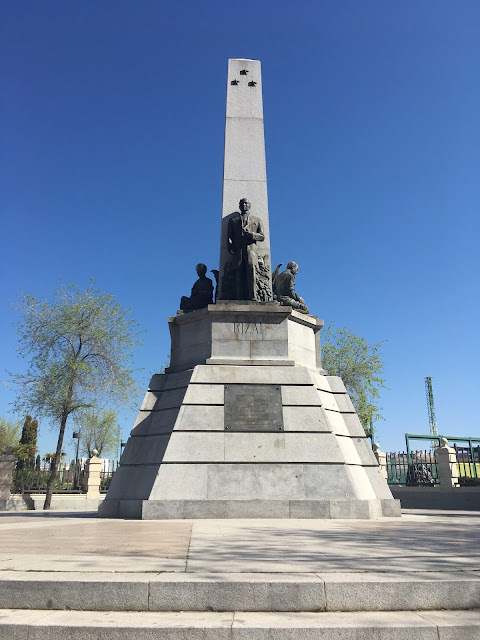 A few metres away from the entrance is the lake where you can find the statue of Alfonso XII (King of Spain from 1874-1885). I was still hoping that somehow I would see some blossoms in the park but unfortunately didn't. I remembered the sculptured cypress trees in the park, so I went to look for that instead. By this time, I thought I have explored Madrid enough to say that I have really experienced the city. I very much enjoyed walking through the tiny streets before the shops were opened. Surprisingly, Madrid has been quite chilly in the mornings even when the sun was up. I stopped at every tapas restaurant that looked appealing to me. 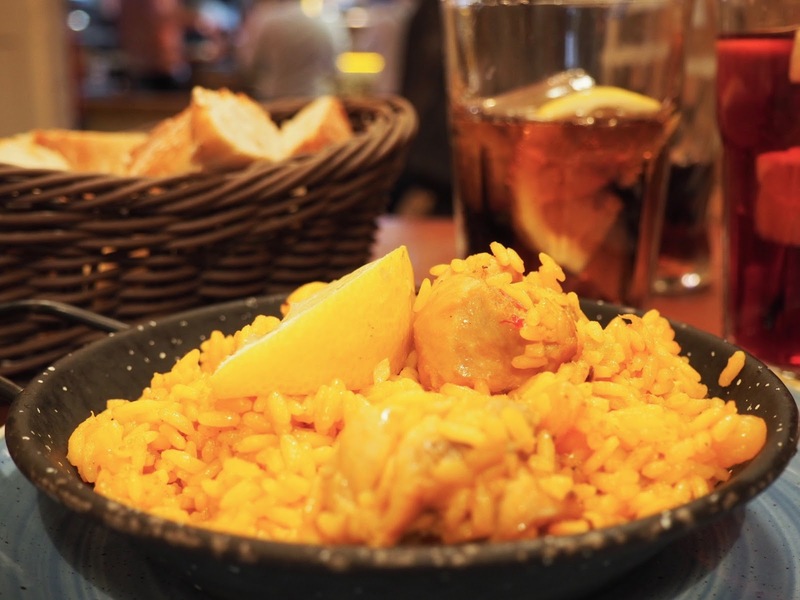 In the end, I was overwhelmed by how much tapas and jamon were on offer that I decided to stick with my own "list of restaurants to try in Madrid". On my fourth day as a solo traveller wannabe, I was contemplating whether to go for another long walk or to lounge in the hotel balcony instead so I could finish my book. In the end, I thought I might as well take that 45 minute walk to pay respect to our Philippine National Hero- The Gat Jose Rizal. So, off I went to Avenida de Filipinas to find the statue. The area was unsurprisingly quiet. In fact, I was the only tourist in the area at that time. And when I asked someone to take a photo of me with the statue, she gave me that "seriously?" look and a sarcastic chuckle. I didn't care as I know I probably won't see her again. Besides, she took my photo anyway so what have I got to lose, right? After that very long walk, I decided to treat myself to one of the best paellas in Madrid (apparently)- Rosi La Loca Taberna. It was my second attempt to eat at the restaurant actually, and I wasn't disappointed. The guy who greeted me at the door spoke to me in Spanish despite telling him that "hablo poco Espanol". I kept hearing him say, "guapa and hermosa", while looking at me from head to toe. It was only when he asked me if I was alone (solo) in Madrid that I realised I was probably being chatted up. I confidently said I was with my husband but he was in a meeting so he couldn't join me for lunch. His face dropped then gave me the menu instead. Lol. Anyway, their paella was indeed the best paella I've had in Spain so far. Not that I have been to many places in Spain but I had some in Madrid already before and then in Barcelona and Toledo, but they were not as good. I would definitely recommend the restaurant to anyone who is looking for a good paella in Madrid. 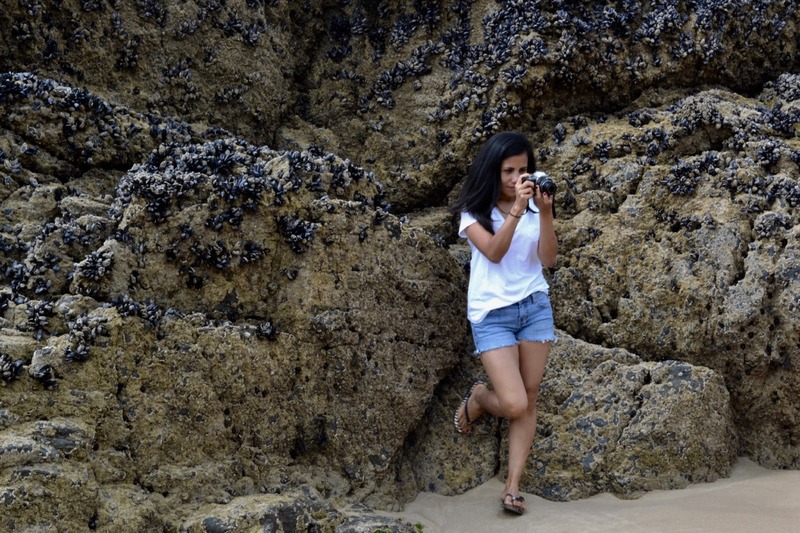 On Friday (my last day as a solo-traveller),I didn't have a plan as such because I thought I have already done everything that I wanted to do in Madrid. I still went for a walk in the morning though, and went back to Calle Mayor, another main road in Madrid. After which, I went back to the hotel to meet up with J and move our luggage to another hotel nearby. For lunch, I went to La Casa del Abuelo. The restaurant was recommended to me by J's boss. He said I must have the sizzling Gambas al ajillo (garlic shrimp). Reviews were very good to be fair, but because I know how to cook garlic shrimp, I was expecting more. I was not that impressed to be honest. Not to say that I cook it better (perhaps I do), but the shrimps were swimming in butter. It was tasty but it was lacking something. Perhaps it would have been better if it was less buttery? My adventure as a solo-traveller ended with a bubble tea from a popular cafe in Gran Via called Wowble. It was nothing special but the bubbles were interesting as they popped inside my mouth. They were not the bubbles (or tapioca) I am used to really, but it was good enough to satisfy my cravings. So, I guess it has been a successful solo travel for me. Maybe not quite a solo travel really as I am technically with J, but I am happy that I was able to explore Madrid on my own and made new memories with myself and then yesterday, with J. I particularly enjoyed my morning leisurely walks. I might have had one too many tapas as I feel like I have gained at least 5 kilos in the last five days, but I am happy because I got to eat some really nice food. I also learned a few lessons during those five days which I will be writing about separately in the next few days. Since Sarah Geronimo has occupied most of my mind and my time this weekend, I might as well write something about her and why I am a fan. It was 2003 when I first heard of her. 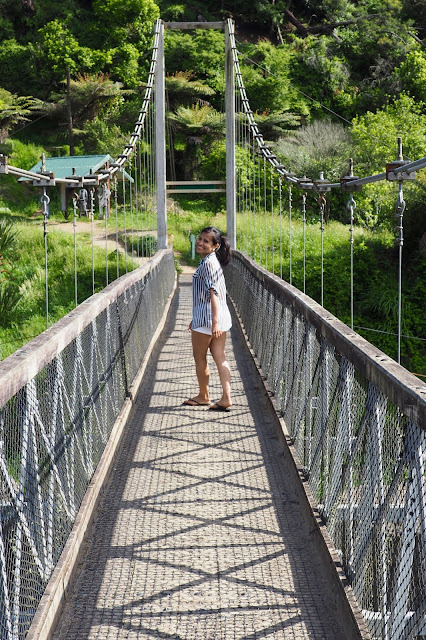 I went back to the Philippines for the first time after three years of living abroad. On our way home from the airport, my cousin played a song in the car and asked me to guess the singer. It was one of my favourite karaoke songs (although I sounded like a cockroach being strangled whenever I sang it)- To Love You More by Celine Dion. And because Celine Dion was my favourite at that time, I confidently said it was her. My cousin was quick to correct me and said it was Sarah Geronimo. I was like, "who"? Apparently, she won a singing contest the year before. I listened to the whole song and I couldn't believe that I was listening to a 14-year old. I fell in love with her voice instantly, and that's how I became a Popster. For me, it wasn't hard to love Sarah Geronimo because she is different from other female Filipino celebrities of her generation. She is innately talented. She always sings from the heart, and makes "birit" with a class. I used to love watching ASAP because of her. Unfortunately, I don't watch it anymore because I don't have TFC. Luckily, Popsters are everywhere on Instagram so I am very much updated with what's going on with the Popstar Royalty. In fact, whilst I am writing this, I am watching snippets of her concert last night at the same time and I am in awe. She is incredible. How can she do all that? She is the most versatile female performer in the Philippines as far as I am concerned. She seems to never get tired. She consistently sings and dances with so much energy and still manages to maintain her vocals. I think she is getting better with age. 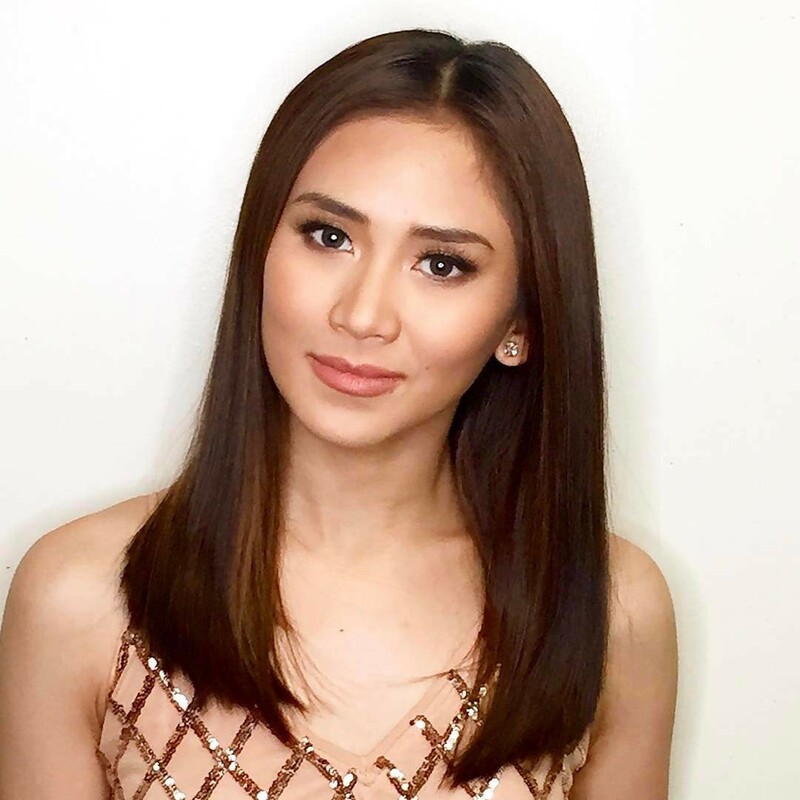 Anwyay, I love Sarah G because of how she is off-cam. Based on what I have read about her, she is very humble, shy and kind. She is apparently very different on stage- almost like she is possessed whenever she performs.